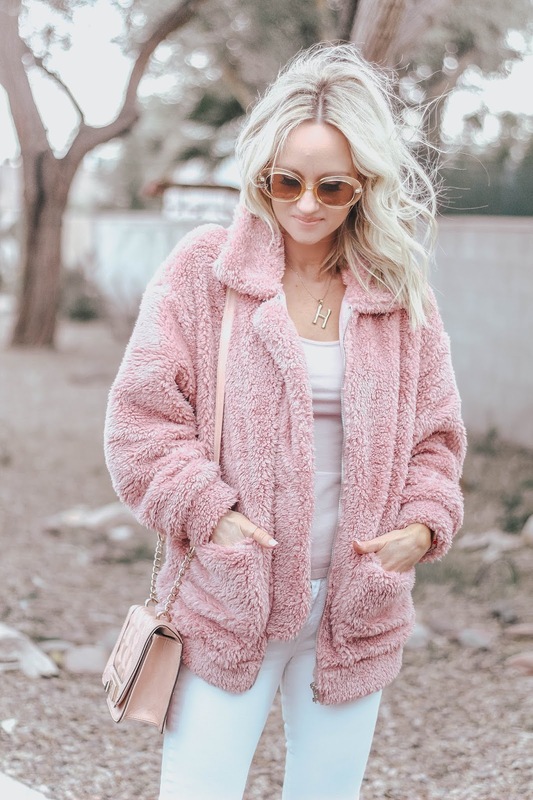 How darling is this pink teddy coat?! It's so warm too! 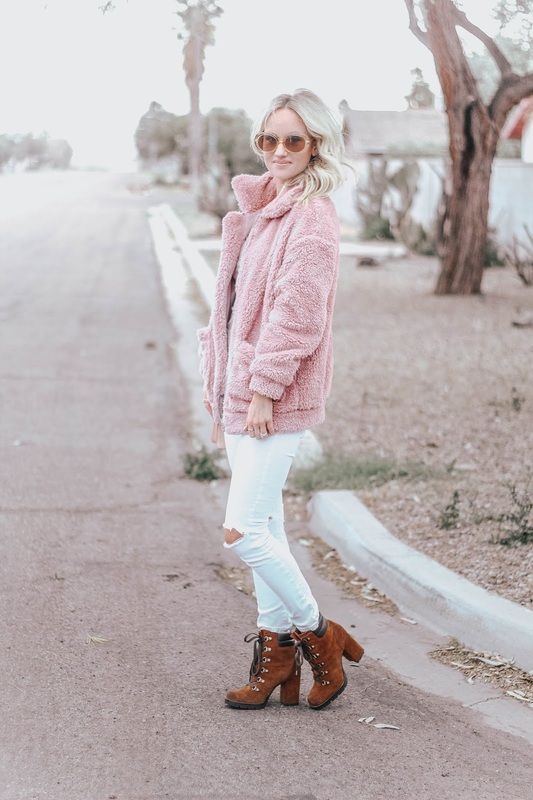 I wore this look on Saturday, and it was super windy and chilly (hence the hair everywhere) and this coat came in handy. 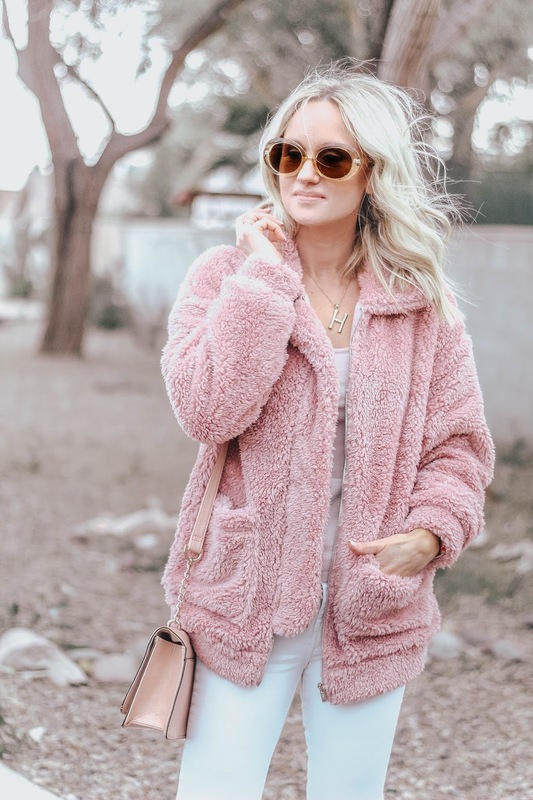 Not to mention it's super cute and only $22.